Pathological studies have suggested the different process of in-stent restenosis (ISR) of bare-metal stents (BMS) and drug-eluting stents (DES). Here, we evaluated the components of neointimal tissue using integrated backscatter intravascular ultrasound (IB-IVUS) and focused on the time course after stent implantation and tissue signal distribution. We evaluated 125 lesions of 125 patients who underwent target lesion revascularization for ISR (BMS: n = 73, DES: n = 52). Volume analysis of a 4-mm length centered on a minimum lumen area in every 1-mm cross-sectional area was performed. For IB-IVUS analysis, color-coded maps were constructed from the default setting based on the integrated backscatter (IB) values (middle-IB value, green: fibrous and low-IB value, blue: lipid pool). For the neointimal tissue volume, we evaluated the ratios of the green (%G) and blue (%B) areas. Tissue signal distribution (TD) was also obtained from the default setting based on IB values in each pixel of IB-IVUS imaging. We compared values of neointimal tissues measured by IB-IVUS between the DES and BMS and time course. The observed period was longer after BMS implantation than after DES implantation (BMS: 2545 days, DES: 1233 days, p < 0.001). Overall, %G and %B were similar between the BMS and DES groups (%G: 55% and 51%, respectively, p = 0.10; %B: 36% and 38%, respectively, p = 0.51); however, TD was significantly higher in the DES group than in the BMS group (1091 vs. 1367, p < 0.001). TD in the DES group remained high during the follow-up periods. However, TD in the BMS group was low in the early phase and significantly increased over time (r = 0.56, p < 0.001). When analyzing the ISR within 2 years after stent implantation, the BMS was distinguished with a sensitivity of 66% and a specificity of 90% (cut-off value: TD = 1135, area under the curve 0.83, 95% confidence interval 0.74–0.92). TD could differentiate neointimal tissue after BMS implantation in the early phase. TD can be a useful index in the observation of neoatherosclerosis. 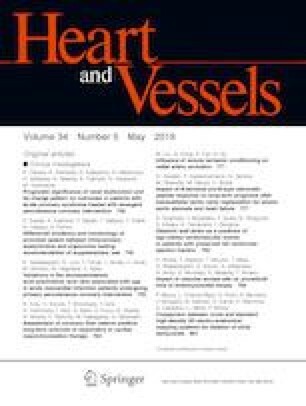 The authors would like to thank Yoshitake Oshima, MD; Syuntaro Horio, MD; Ryota Watanabe, MD; Hiroto Yagasaki, MD; Hirotaka Miwa, MD; Takashi Kato, MD; Syunichiro Warita, MD, PhD; Koji Ono, MD, PhD; and Shintaro Tanihata, MD, PhD for providing assistance in manuscript preparation.